I am a native of Illinois, proud of my Scandinavian heritage and close ties to Iceland. My mother is a native of Iceland, who met and married a US serviceman who was stationed there in WWII. I grew up with stories of brave fishermen, mischievous trolls and adventurous Vikings. After a career in telecom consulting, I was inspired by my mother’s memoirs, and moved my focus from training classes and technical writing to once again being immersed in the childhood fascination of legend, lore and imaginative stories. 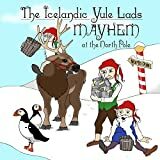 I have written three children’s books on Icelandic myths and legends, along with a cookbook of Icelandic dishes co-authored with my mother. 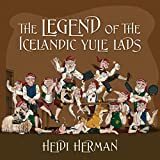 My first book was the Legend of the Icelandic Yule Lads, which is one of the best-known Icelandic folk tales. I spend most of my time researching Icelandic folklore and mythology, writing, and speaking at events to share my Icelandic heritage and love of the country. I live in Illinois with my two Schnoodles, Dusty and Thor. Soon to be releasing my first full length novel.